Mac Arthur Sutton, 75, of North Vernon, passed away on August 6, 2018 at his residence. Born August 27, 1942, in Loogootee, Mr. Sutton was the son of Luther and Oskell Burress Sutton. He married his first wife, Marjorie Truelove on April 14, 1963; she preceded him in death on January 23, 1996. He married his second wife, Laura Belle Arvin on April 27, 2006 at Christ Baptist Church in North Vernon; she survives. Mr. Sutton was a 1960 graduate of Loogootee High School and graduate of Vincennes University and Oakland City College and received his Master’s degree from Indiana University. He worked as a teacher for Graham Creek Elementary School in Commiskey for 23 years retiring in 1989 and worked for Hacker Fabrication for seventeen years. He was a member of Christ Baptist Church and attended First Assembly of God both in North Vernon. Mr. Sutton enjoyed tractors and attending tractor shows, reading, gardening and outdoors. Surviving with his wife Laura Belle Sutton are sons, Brent Sutton and his wife Bliss, Brian Sutton and his wife Amber both of North Vernon; step-son, David Shelton of North Vernon; step-daughters, Della Goodwin and her husband Tim of North Vernon, Sheila Phillips and her husband Danny of Tennessee and Dixie Mott and her husband Kenny of Bicknell; sisters, Georgia Harris of Nashville, Nancy Sutton of Napoleon and Nona Bradley and her husband Kenny of Loogootee; grandchildren, Cory Castetter, Kyle Sutton and his wife, Kelsey, Jacob Sutton and his wife Brittany, Brechelle Landwehr and her husband Tyler, Brendan Sutton and Lucas Terry all of North Vernon and Marley Sutton of Elizabethtown; nine step-grandchildren; five great-grandchildren and fifteen step-great-grandchildren. He was preceded in death by his parents; his first wife; brother, Danny Cochran; sisters, Marsha Mattingly, Rosalie Goodson, Marilyn Sutton and step-son, Roger Shelton. A funeral service for Mr. Sutton will be conducted at 10:00 a.m. on Thursday, August 9, 2018, at the Dove-Sharp & Rudicel Funeral Home and Cremation Service in North Vernon. Family and Friends may call at the funeral home on Wednesday, August 8, 2018, from 4:00 p.m. until 8:00 p.m. and one hour prior to the service on Thursday. 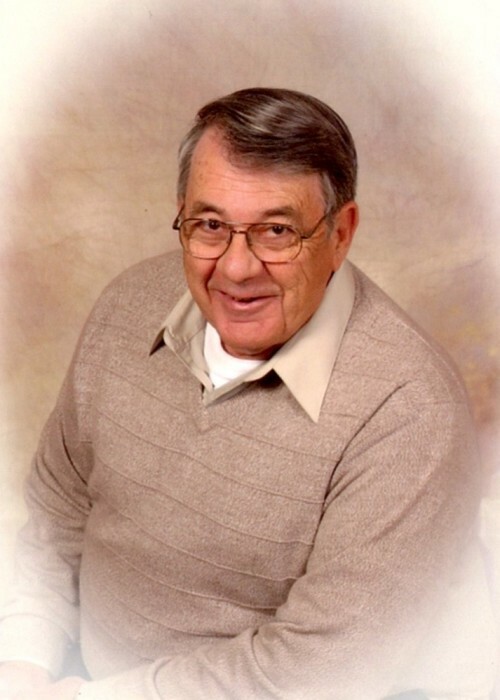 Burial will be at 2:00 p.m. on Thursday in the Truelove Cemetery in Loogootee. Memorials may be made through the funeral home to Jennings County Library or the American Cancer Society.